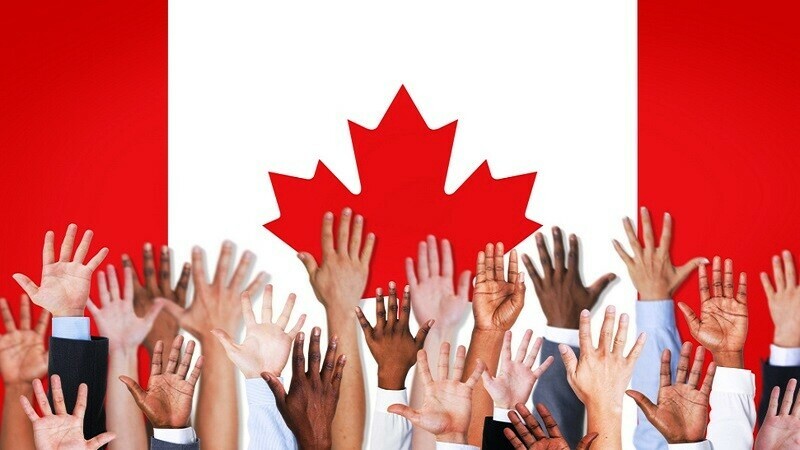 Immigration to Canada - AfriCanada.com How to Become Canadian Permanent Resident - Guidelines - AfriCanada Consulting Inc.
1.1 Why Immigrate to Canada? 1.3 Which Canadian Immigration Program is Best for You? 1.3.1 Do You Qualify for Economic Class Immigration? 1.3.2 What Is the Express Entry Process? 1.3.2.1 What If You Do Not Qualify for Federal Express Entry? 1.3.3 What Other Options for Canadian PR Do You Have Than Economic Immigration? 1.3.3.1 Have you previously studied or worked in Canada or doing so now? 1.3.3.2 Do you have a valid Canadian job offer? 1.3.3.3 Do you have friends or relatives in Canada? 1.3.3.4 Do you own and/or manage a business? 1.3.3.5 Do you have a high net worth or significant financial resources? 1.4 Do You Need to Remain in Canada After Obtaining Permanent Resident Status? Canada has the highest immigration rate out of all the G8 nations. Immigrants account for two thirds of the population growth. More importantly, Canada is simply a great country to live in. The Social Progress Index published in 2017 that Canada is the world’s sixth-best country in which to live, so it’s not surprising that so many people want to settle in Canada. Canada is also highly attractive because citizens and permanent residents are covered by the public health insurance systems. Depending on your qualifications, the first step is to decide which class you are most likely to succeed in. The following factors may help you to begin to narrow down your options according to your situation and goals. Each class includes numerous immigration programs aimed at bringing in candidates who are most likely to integrate quickly. Do You Qualify for Economic Class Immigration? Canada plans to welcome more Economic Class immigrants than any other category over the next three years. The 2018 target is 177,500, rising to 195,800 by 2020. Candidates are advised to consider both the federal Economic Class programs (for example Federal Skilled Worker and Federal Skilled Trades programs) and the provincial Economic Class programs (for example Provincial Nominee Program and Quebec Skilled Worker Program ). Both Federal and Provincial economic immigration programs operate using the Express Entry System. Express Entry is an electronic management system used by Canada for its economic immigration programs. 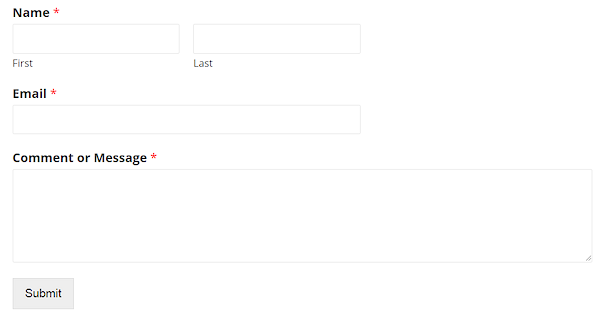 Candidates enter the Express Entry pool by submitting a self-assessed profile. Each profile in the pool is scored using a Comprehensive Ranking System. The best scoring profiles are invited to apply (ITA) via regular Express Entry draws, usually every two weeks. Candidates who receive an ITA submit a full application within a strict delay of 90-days. The target processing time from receiving an Express Entry invitation (ITA) is six months for 80% of candidates. What If You Do Not Qualify for Federal Express Entry? Candidates who do not qualify for federal Express Entry can consider a Provincial Nominee Program. Canada’s provincian and territorial governments have programs targeted at filling shortages in many specific labour markets. These range from technology workers in British Columbia, Ontario and Quebec to long-haul truck drivers in Saskatchewan and medical doctors in the Atlantic provinces. Most provincial immigration programs require a job offer to qualify although some provinces have targeted lists of occupations in demand which open and close, usually in less than a day. What Other Options for Canadian PR Do You Have Than Economic Immigration? If you do not qualify for a federal or provincial economic program, there are other ways to become a Canadian permanent resident as described below. Individuals who have previously worked/studied, or are currently working/studying, in Canada have a path to becoming Canadian permanent residents via the Canadian Experience Class and Quebec Experience Class programs. Canada also allows foreigners studying in Canada to work for three years after their graduation and to become Canadian permanent residents after. This is a popular route for candidates who do not immediately qualify for permanent residence. A Canadian job offer may enhance your eligibility for permanent residence. But first read the general requirements for working in Canada here Working in Canada. You could initially come to Canada temporarily via the Temporary Foreign Worker Program. You could then transition to permanent residence down the line. Canada also offers a number of Family Class Sponsorship programs. These programs allow Canadian citizens and permanent residents to sponsor family members and loved ones for Canadian immigration. The federal government plans to welcome 86,000 family sponsorship immigrants in 2018, rising to 91,000 by 2020. If you have a friend or close relative in Canada, you might be able to obtain Canadian permanent residence under the federal Family Class program. Our free assessment will help you identify programs that your application may benefit from these family relationships. Who Can Be Sponsored Under the Family Class? Accompanying relatives of the above (for example, spouse, partner and dependent children. Each sponsorship category has its own requirements and waiting periods. Do you own and/or manage a business? Canada also aims to attract entrepreneurs and investors through its business immigration programs. Your business ownership or managerial experience in your native country may enhance your eligibility for federal and provincial governments business investor and entrepreneur immigration programs. Start your free assessment today. You just may have the qualifications for many of these programs. Do you have a high net worth or significant financial resources? The federal and Quebec governments operate a number of business investor and entrepreneur immigration programs that offer excellent opportunities to foreigners for obtaining Canadian permanent resident status. In addition many provinces offer business or investment streams under their Provincial Nominee Programs. Some of the popular ones include Canada Start-up Visa Program and Quebec Immigrant Investor Program”. Other Canadian provinces also operate business programs. These usually involve a two-step process in which candidates entering Canada on a work permit and achieving permanent residence if conditions are met. Other provinces with similar process are British Columbia, Manitoba, Saskatchewan, Ontario and New Brunswick. Do You Need to Remain in Canada After Obtaining Permanent Resident Status? You have to comply with certain rules to keep your status. For example you must be physically present in Canada during a cumulative period of 2 years for each 5-year segment of residency. However, you can accumulate residency time if you travel outside the country with a spouse or a common-law partner who has Canadian citizenship, if you are deployed abroad as a full-time employee of a Canadian company or a Canadian public service, or if you are accompanying a spouse who is on such an assignment. you can immigrate as a temporary resident, then take the steps toward becoming a permanent resident while in Canada, or file your permanent residency application directly from your country. Student visa: allows you to study in Canada, as the name suggests. Working holiday permit: issued through an agreement between Canada and dozens of countries, it allows you to work or simply stay and travel. Young professionals permit: allows you to work with a designated employer who has made you a job offer; the associated procedure is simpler than that of the temporary foreign worker permit. Temporary foreign worker permit: is a standard permit for working with a designated employer who has made you a job offer. In order to be a permanent resident, you have to apply for your permanent resident card. This status gives access to almost all the same rights as Canadians, except the right to vote. After living in Canada for four years, you can apply for your citizenship. The Citizenship and Immigration Canada website describes the steps and procedures associated with applications.